Room 14 is located on the second floor, and has a garden-view southern exposure. 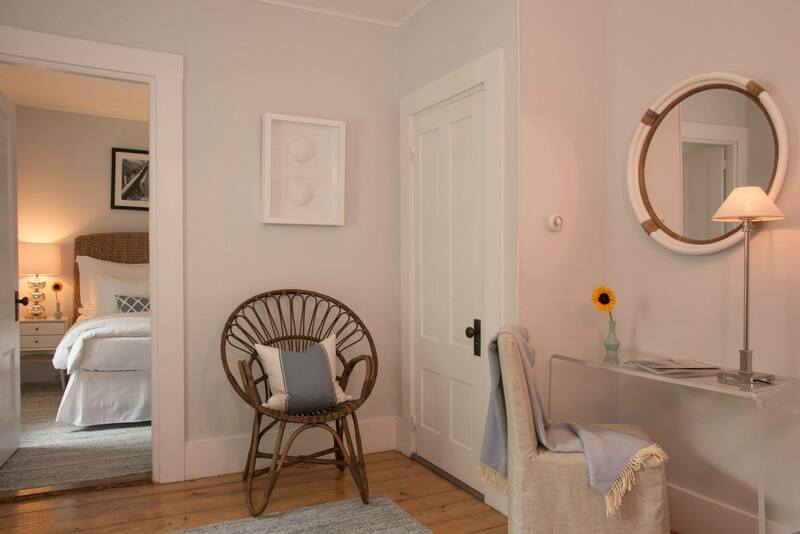 This cozy, unique room opens to a small sitting area. Just off the sitting room is a separate bedroom with Queen bed, 2 bedside tables, and dresser. 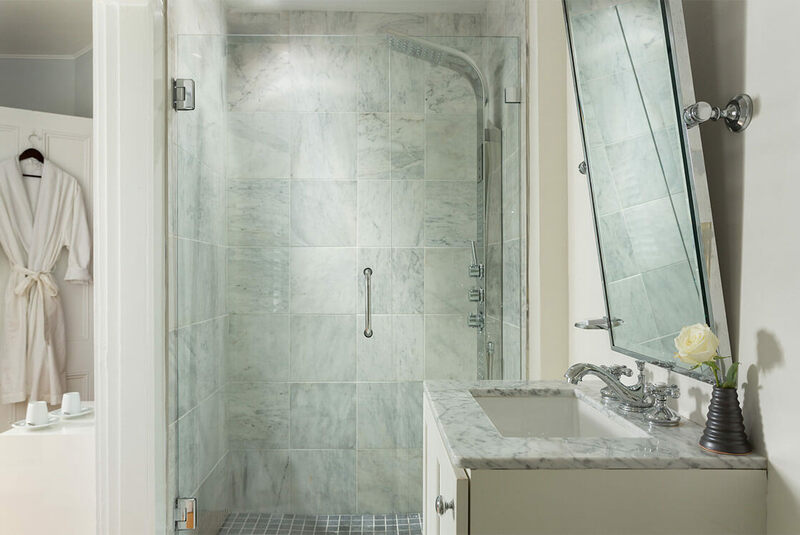 The room also features a brand new marble bathroom, with our Signature Spa shower with an overhead rain shower and body jets, marble surround, and frameless glass door.